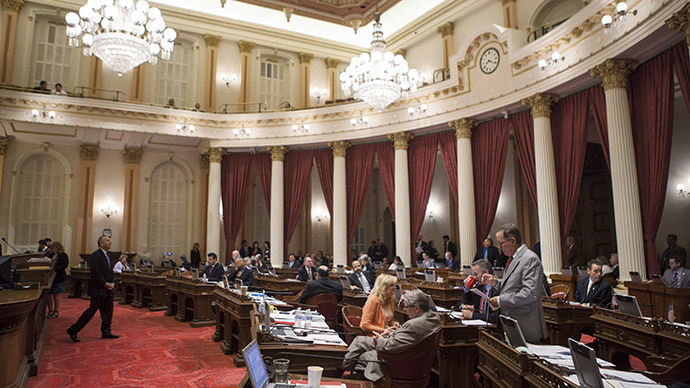 The California Medical Association abandoned its 30-year opposition to physician-assisted suicide, removing a major obstacle to a bill currently being debated in the state legislature. It is the first state medical association in America to do so. The CMA’s decision comes as the Monning-Wolk Senate Bill 128, also known as the End of Life Option Act, is coming up for a vote. If the bill is adopted, California would join Oregon, Montana, Washington and Vermont in legalizing assisted suicide. CMA officials said they were motivated by the desire to preserve the doctor-patient relationship and made the decision after extensive consultations with lawmakers. The association’s spokeswoman, Molly Weedn, told Reuters the key concern was that doctors not be required to participate in assisted suicide or refer patients to a colleague who does. Sponsors of the bill praised the association’s decision. “As the authors of SB 128, we are pleased to learn that the medical community is making a historic shift from a previous position on this issue,” said Senator Lois Wolk. “We all agreed that the greatest importance must be on the primacy of the doctor-patient relationship, consistent with the principle of patient centered health care,” added Senator Bill Monning. Monning and Wolk submitted the bill in January, after the case of California resident Brittany Maynard drew national attention. Diagnosed with a terminal brain tumor, Maynard, 29, moved to Oregon where assisted suicide has been legal since 1994. “With deep appreciation, I thank the California Medical Association for showing its leadership and wisdom in adopting its neutral policy stance,” Maynard’s widower, Dan Diaz, told ABC News. Stephanie Packer, 32, is opposed to the measure. A devout Catholic, Packer suffers from a terminal lung disease and has already lived longer than her doctor expected. She and her husband told National Public Radio that legalizing assisted suicide could lead to it becoming a norm, especially with the rising cost of medical care. Catherine Campisi, a supporter of Californians Against Assisted Suicide, told Reuters that a coalition of citizen groups continues to oppose the “deeply flawed legislation” because it poses dangers to the vulnerable and people with disabilities. “Assisted suicide is inherently dangerous to those who are expensive to care for or who lack access to proper medical care, and rather than open up that Pandora's box, we ought to be exploring how to expand hospice and palliative care to address the needs of those terminally ill,” she said.